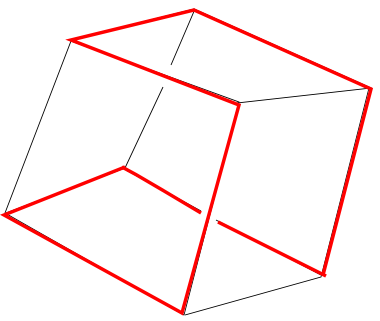 Consider a convex polyhedron in which every face has an even number of edges and every vertex has three faces around it. Can you go for a walk along the edges, coming back to where you started, and passing through each vertex exactly once? NOTE: this was corrected on July 1 2013 because in my original post I left out one hypothesis. Thanks to the Camp Euclid students for finding the counterexample that showed how much of a mistake I made!